Facebook has officially launched group video calling support feature for its Messenger. Facebook has officially launched group video calling support feature for its Messenger. Messenger chief David Marcus, announced the global roll out for Android and iOS devices in a Facebook post. 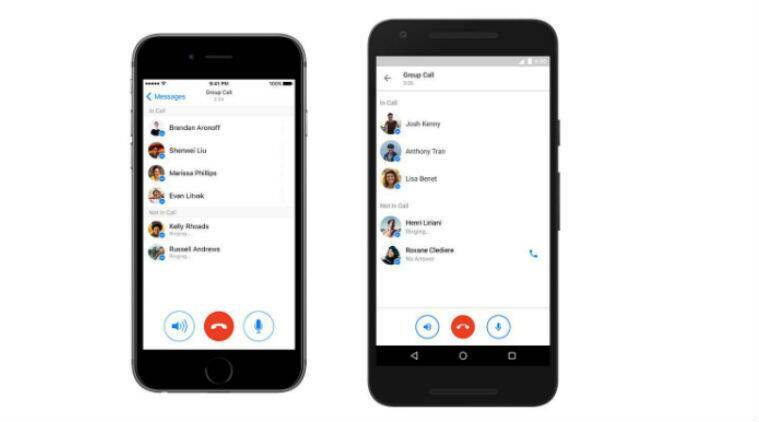 Facebook Messenger group calling will support up to 50 members and users will have to click on the phone icon to initiate a call. Once a user taps on the phone icon, he can then choose the participants for the group call. “from any group conversations, just tap on the phone icon to initiate a group call. You can then manage individual participants on the next screen,” said Marcus. Users however, need to update their Messenger app to the latest version, before they see the phone icon. And if its already there, you are ready to go. “Give it a try, and as always, let us know how we can make it even better for you,” Marcus added. Facebook is expanding its Messenger service for much more than chatting. The company, at its F8 developer conference, revealed chatbots for Messenger, that will allow businesses to connect with users and more. “Bots can provide anything from automated subscription content like weather and traffic updates, to customized communications like receipts, shipping notifications, and live automated messages all by interacting directly with the people who want to get them,” Facebook said in a blog post.